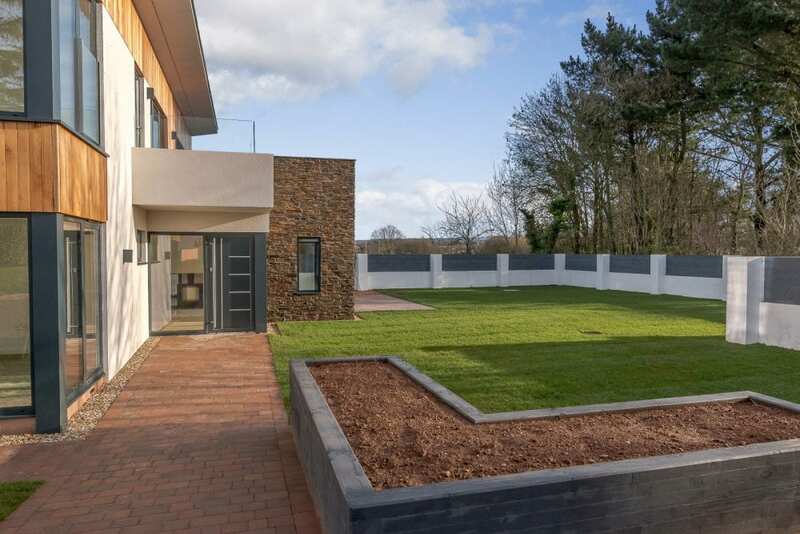 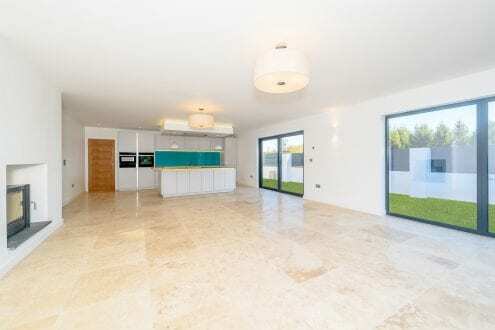 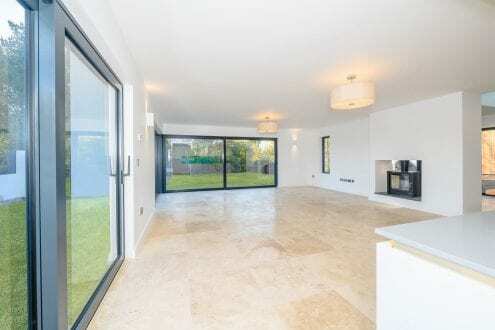 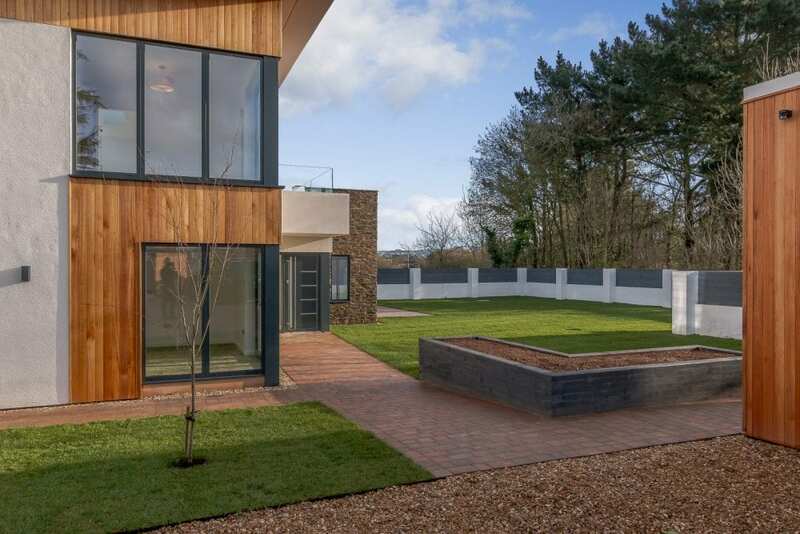 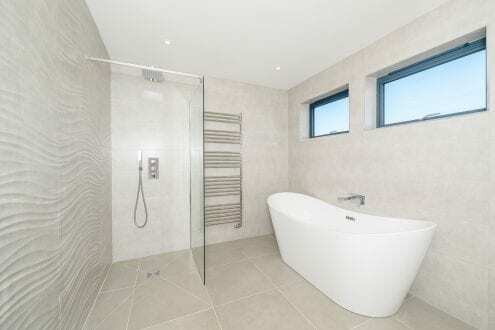 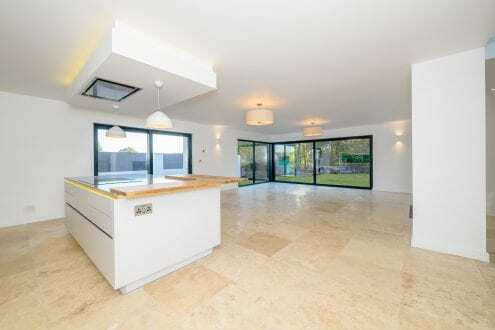 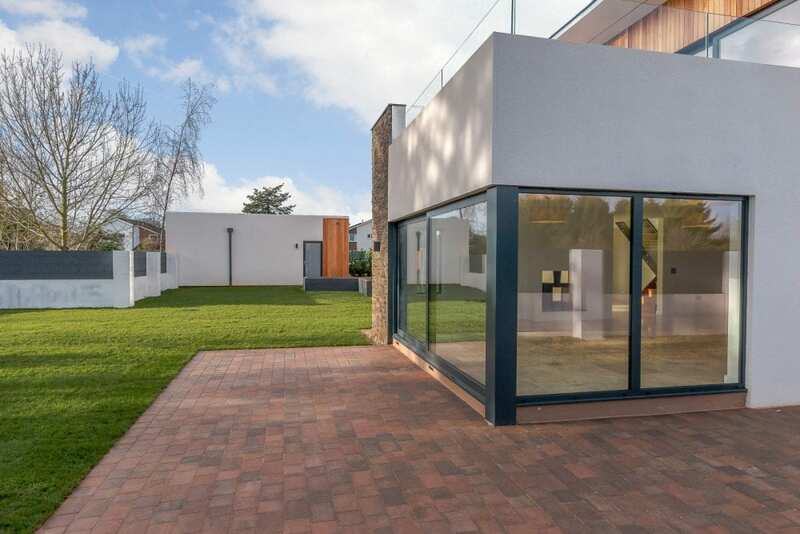 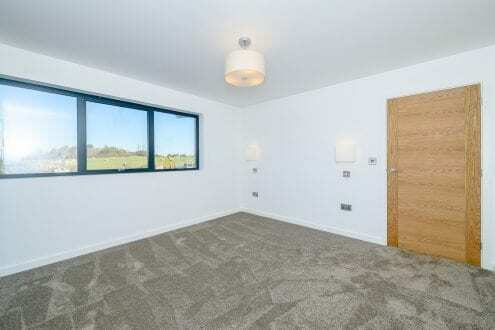 A contemporary, high spec, new build on the edge of Exeter with Devon countryside views. Within the very large gardens of two nearby cottages, planning permission was granted for a substantial detached two-storey home. Plans were drawn for a contemporary detached home. 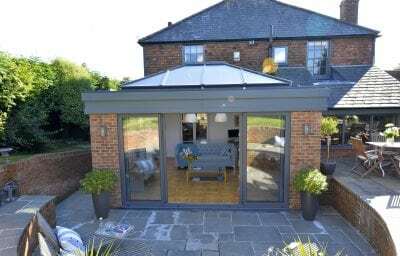 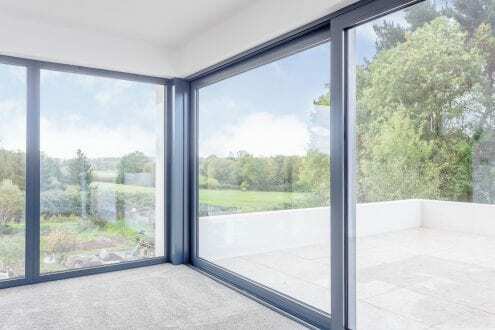 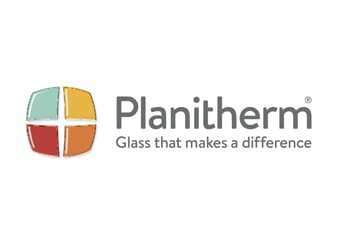 Designed to a high specification, which features large powder coated aluminium glazing, plus high spec fixtures and fittings including a zoned heating system. 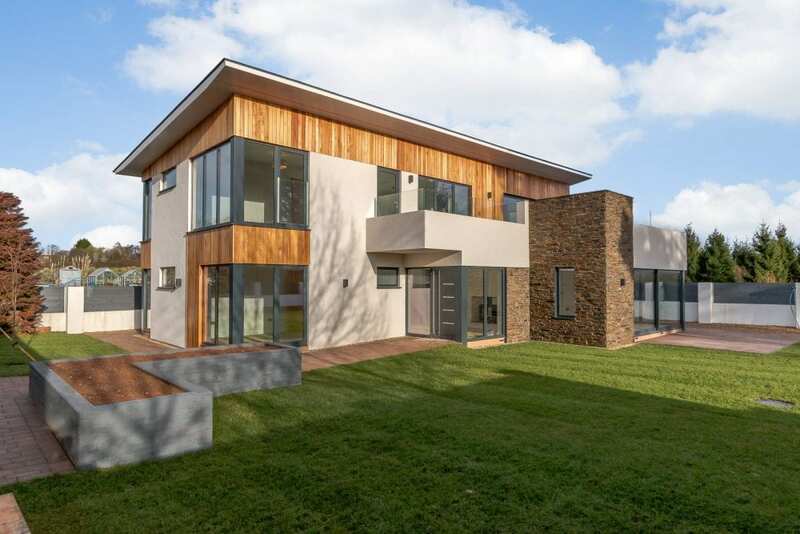 The exterior of the property is a mixture of cedar clad and white render with a stone face focal point near the front entrance. Giving the property character along with a very modern contemporary feel. 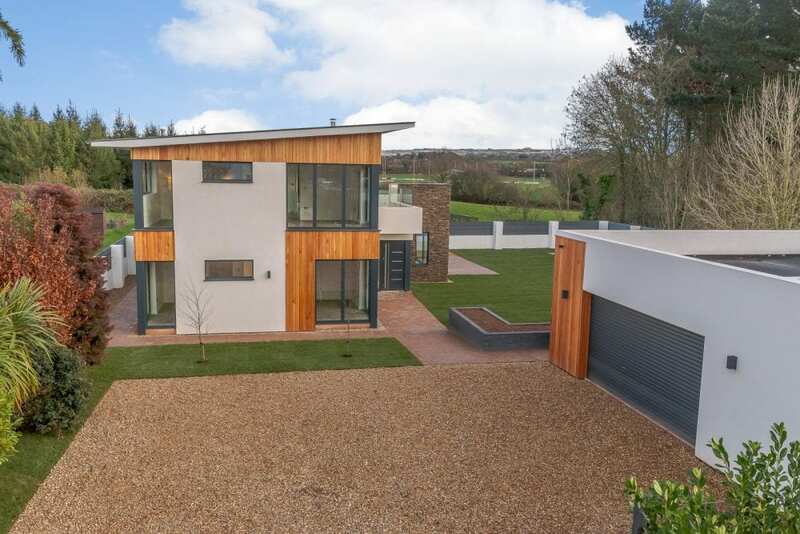 The property boasts 5 bedrooms, including a large master, with balcony and dressing room, en-suite bathrooms and an open plan living/kitchen area. 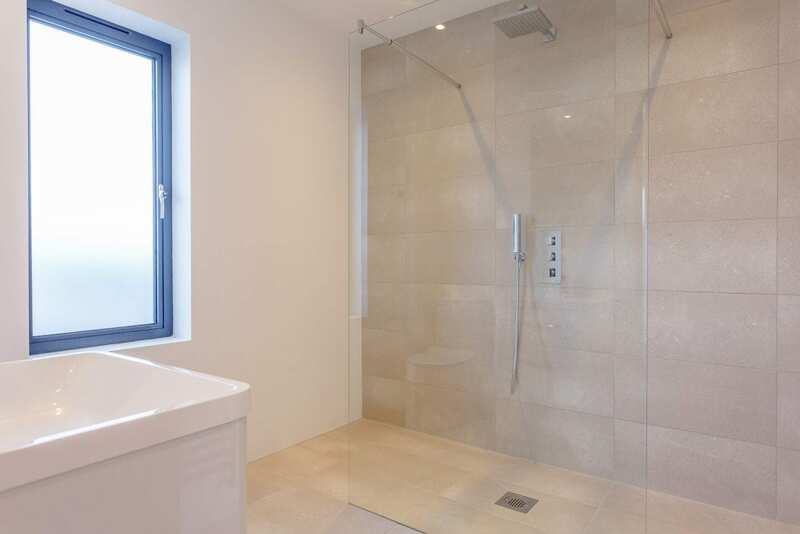 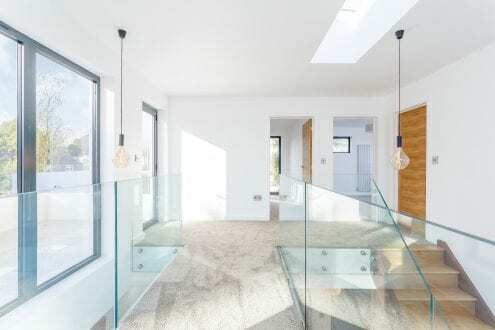 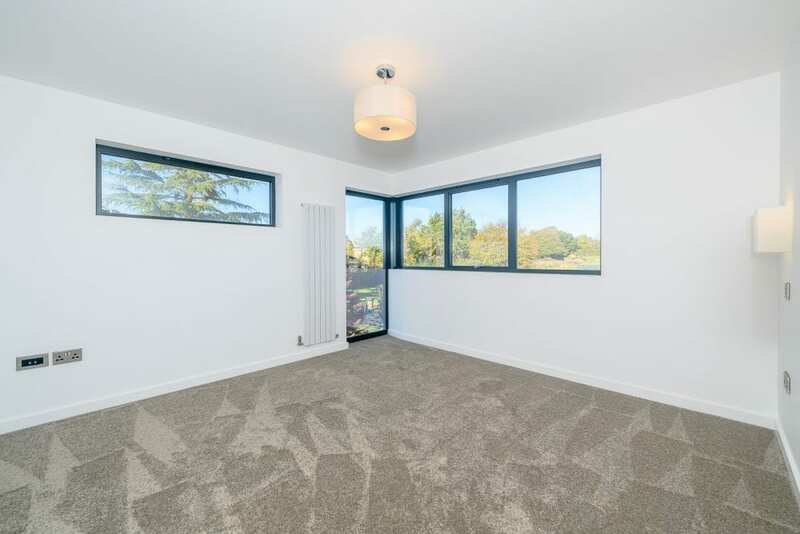 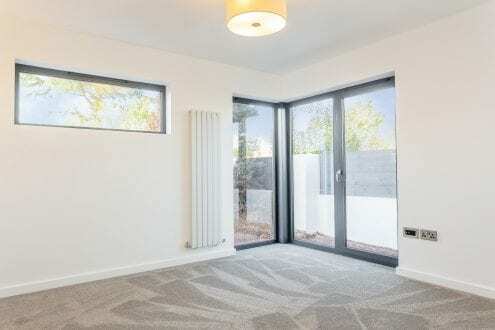 To match the high-spec fixtures and fittings the property developers were looking for high-spec, quality aluminium windows and doors. 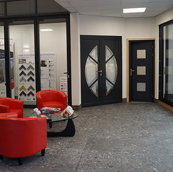 Having visited the Aspect Windows showroom, they were happy Aspect Windows would be able to deliver. 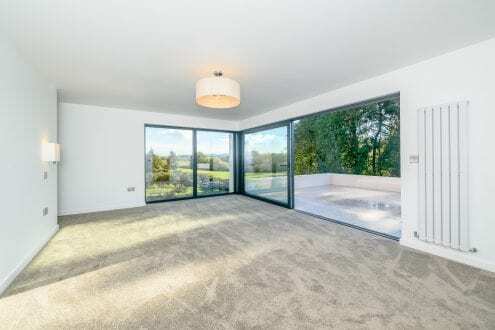 Making the most of the views of the surrounding countryside, slim and contemporary floor to ceiling aluminium windows and doors were installed into many of the rooms. Downstairs the open plan living area features two large floor to ceiling sliding doors, helping to increase the sense of space in the room and open it up to the outside. 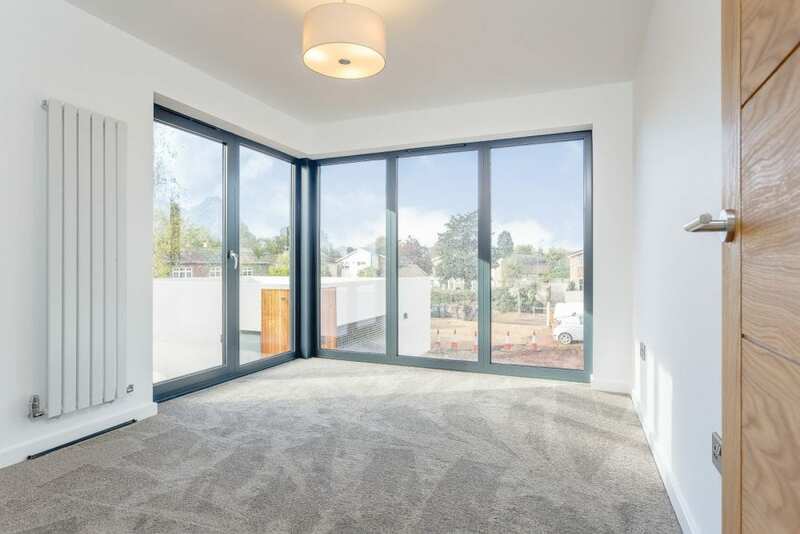 Making the space perfect for al-fresco dining and entertaining. A duo rail track configuration, allows for one pane to slide neatly behind the other. 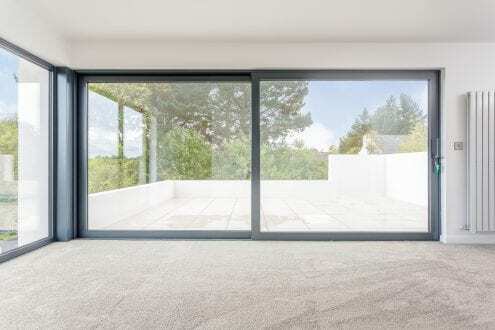 With both panels being identical in appearance, giving an aesthetically pleasing and versatile sliding door. 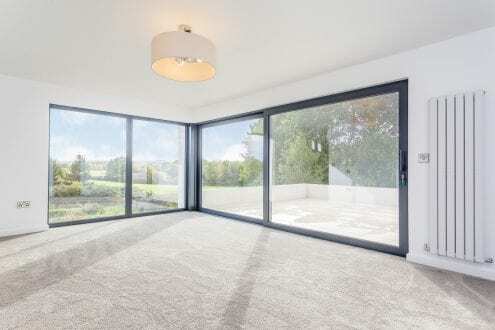 Easily operated with the lift and slide opening mechanism. 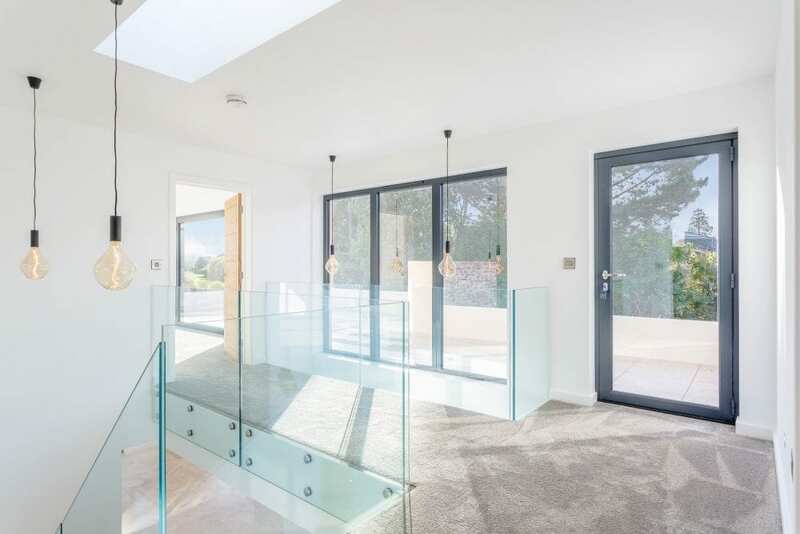 An anthracite grey (RAL 7016), front entrance door leads into a large hallway with a oak staircase which takes you upstairs to a light rich landing, with skylight, large feature windows and a single door out to a spacious roof terrace. 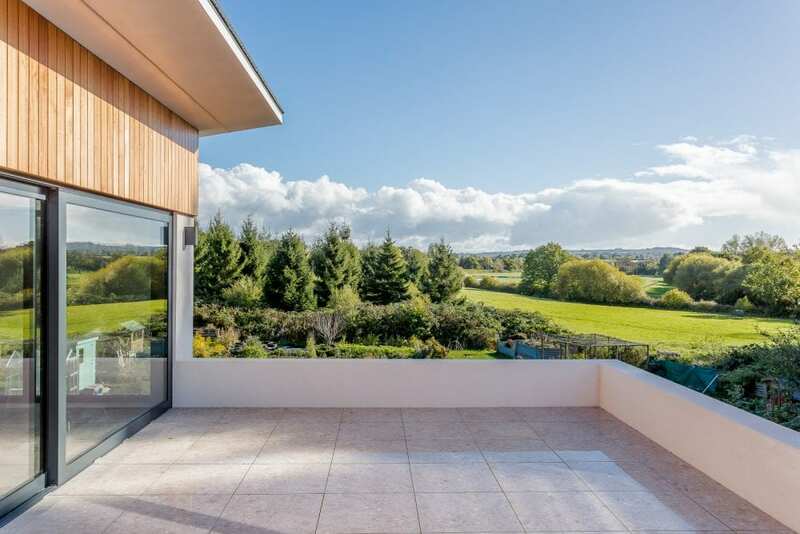 The master bedroom features a 3rd very large sliding door, which leads out to the roof terrace, where far reaching views of Devon can be enjoyed. A mixture of casement, fixed and tilt and turn windows have been used throughout the property to suit each room and make the most of the views, all double glazed and finished in anthracite grey (RAL 7016), both internally and externally. 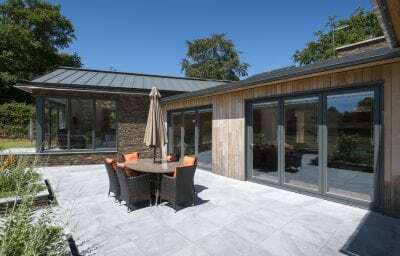 The windows and sliding doors were manufactured in-house in our own factory. 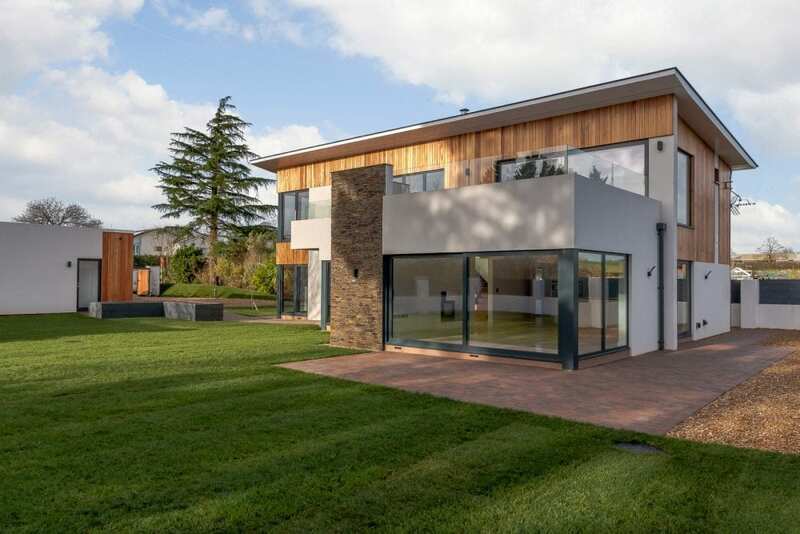 Being a specialist manufacture of these aluminium windows and doors, gives us control over the quality of the products we are installing. 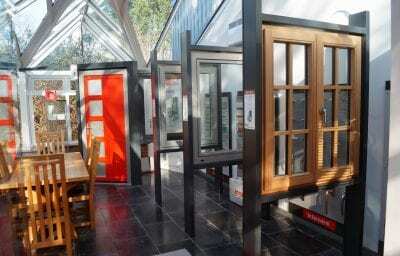 Ensuring a high-end quality product, that fits well, is installed every-time.